I have here some leftover pre made dough which is a mixture of yeast, milk, salt, sugar and flour. 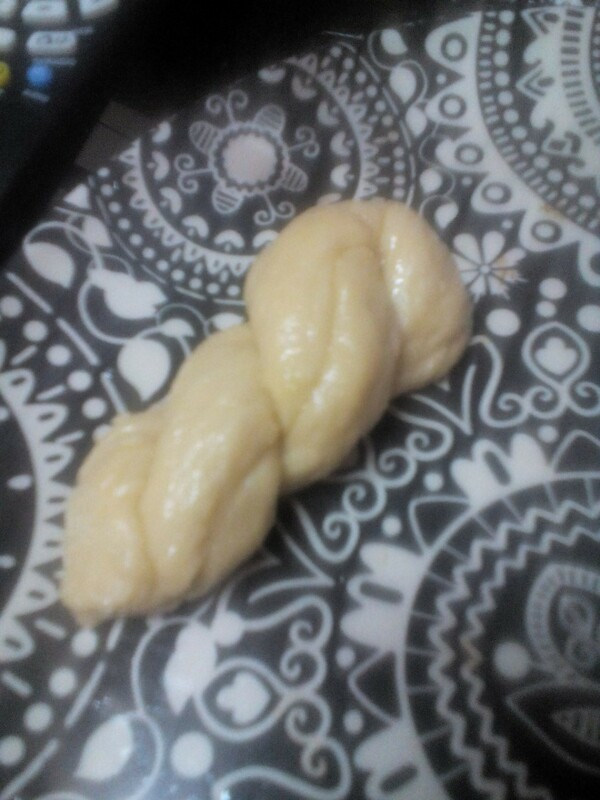 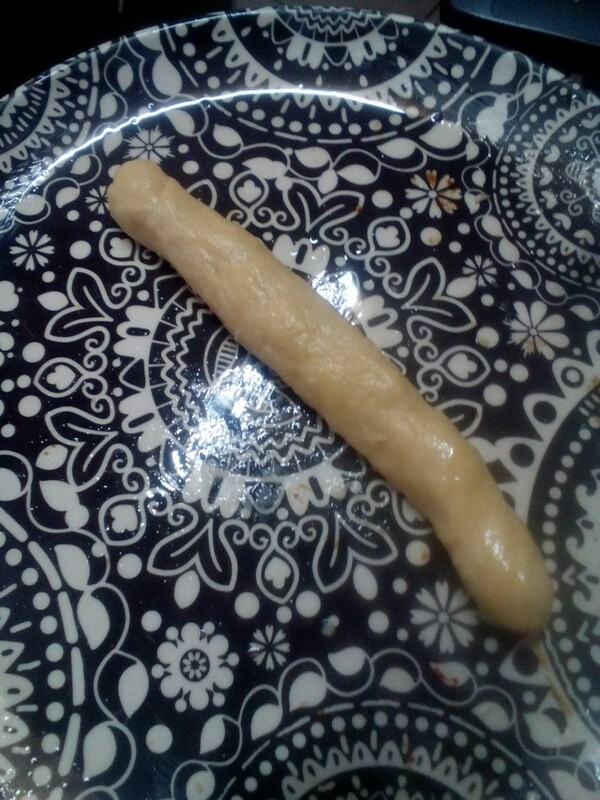 My oven is full so I have to transform this dough into something that I could fry and serve. 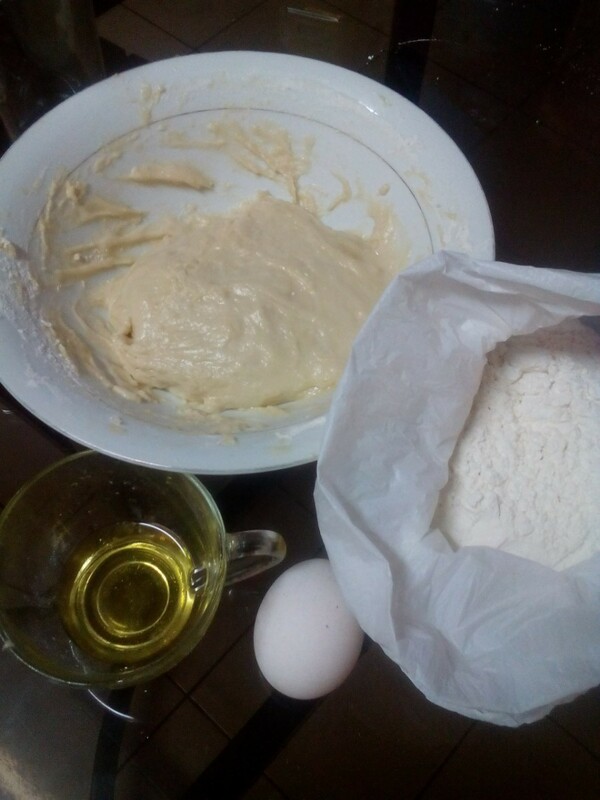 Break the egg unto the dough and mix well. 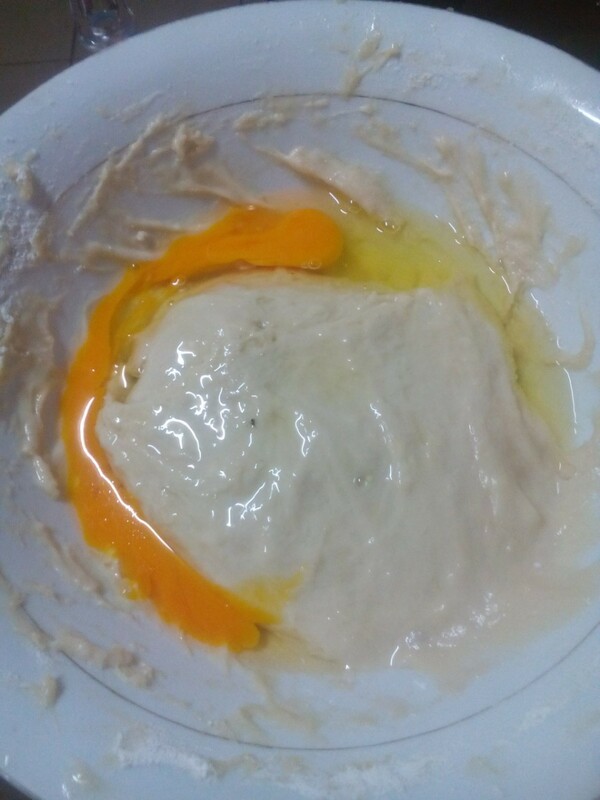 Knead the dough until flour incorporates evenly. 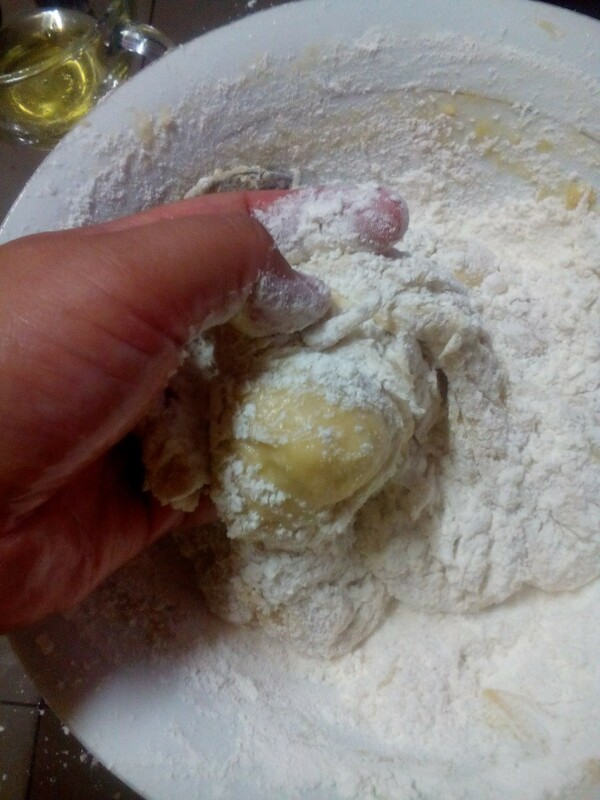 Continue kneading until dough is elastic and lightweight. 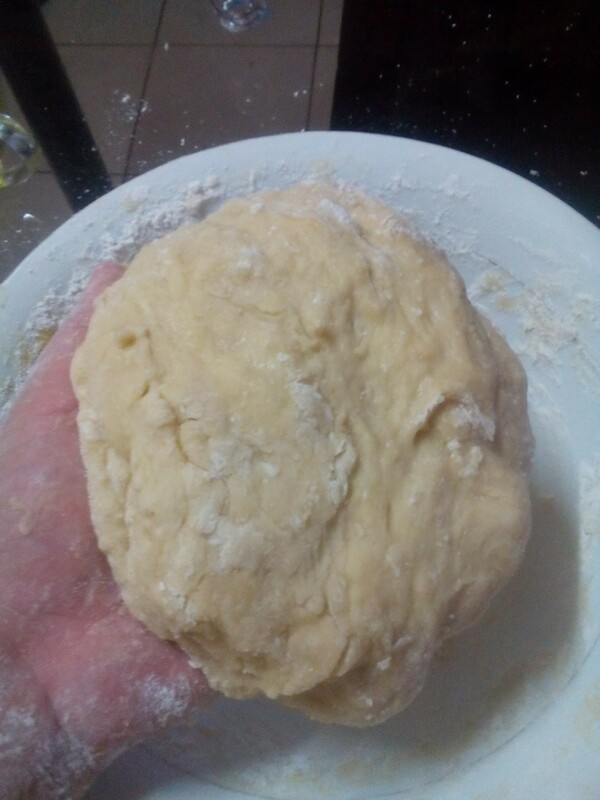 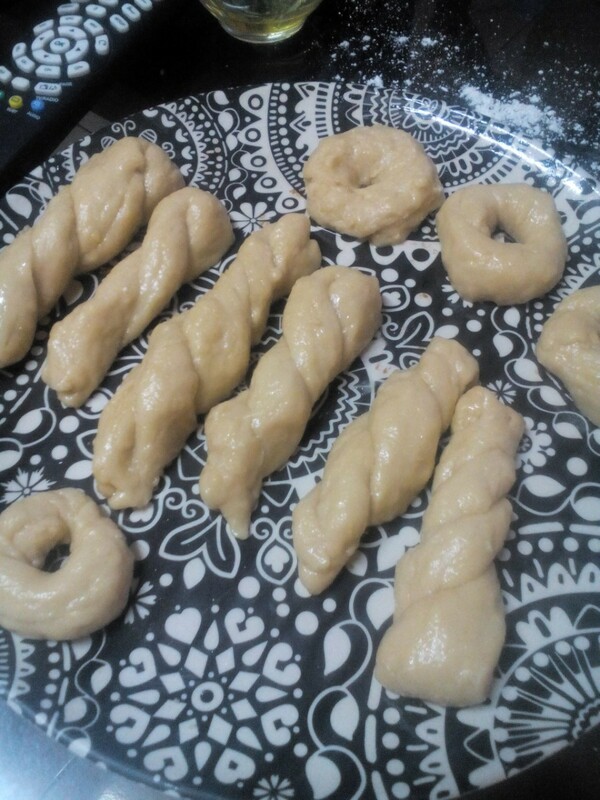 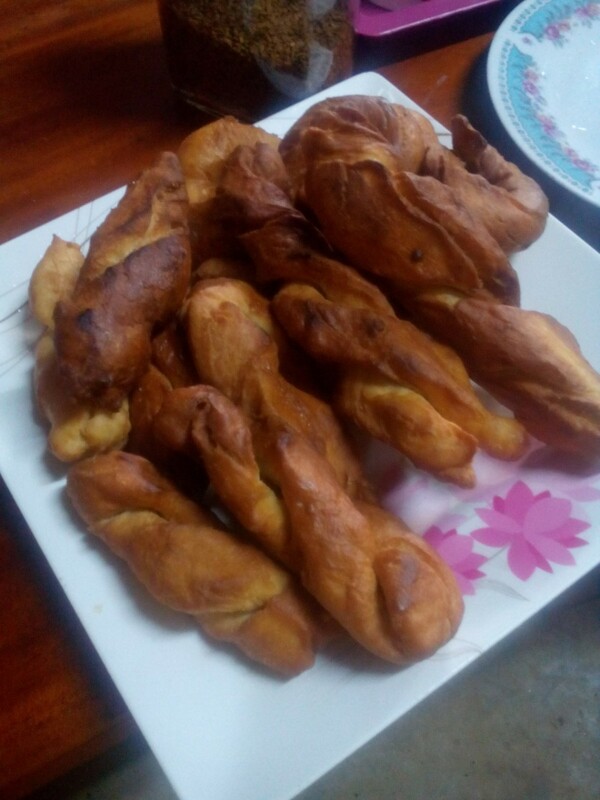 Get a portion from the dough and stretch. 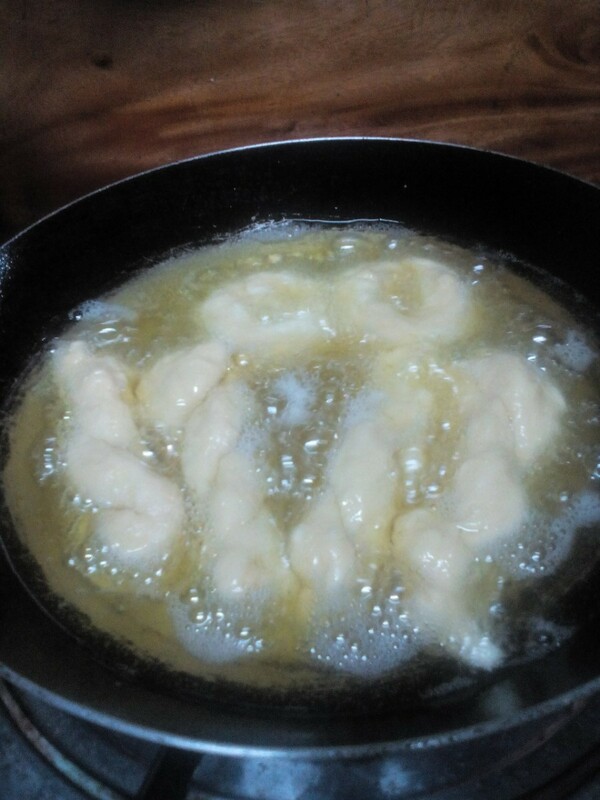 Fry in hot boiling oil over medium heat. 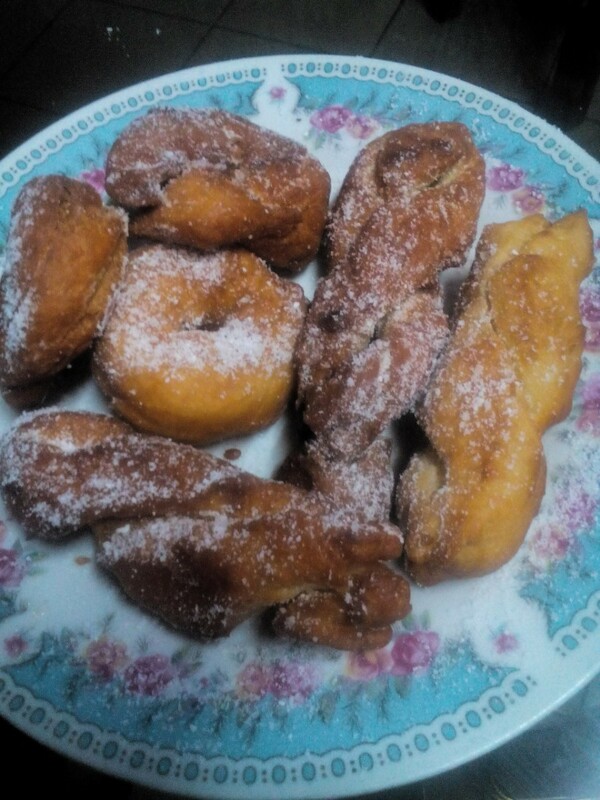 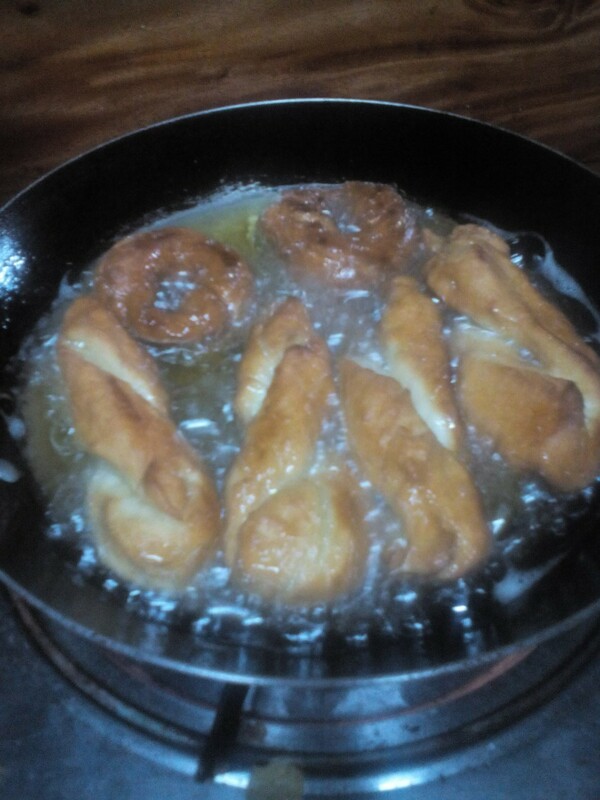 Wait until donut starts to float and turns golden brown. 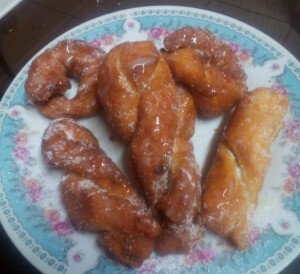 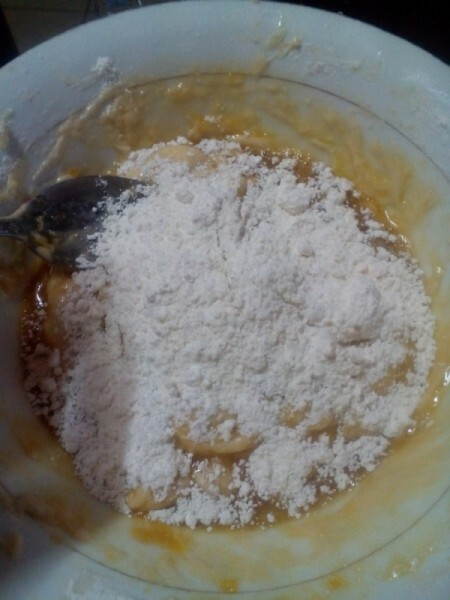 Sprinkle with powdered sugar or drizzle with condensed milk.